Istanbul, Turkey – Millions of Turkish voters will on Sunday cast their ballots in critical local elections, after a heated campaign dominated by discussions over the country’s economy and security. The polls could pose a major challenge for Turkish President Recep Tayyip Erdogan and his Justice and Development (AK) Party given a backdrop of high inflation and rising unemployment sparked by a major currency crisis last year. According to Taha Akyol, a Turkish political analyst and columnist, the vote is the “hardest” faced by Erdogan’s party since coming to power in 2002. “The party is trying hard to stay away from discussing actual economic issues,” he said. Turkey’s economy has been hit hard since the lira lost as much as 40 percent of its value against the US dollar last year. The currency crisis, triggered in August after a bitter diplomatic spat with Washington, raised investor concerns over the independence of the Central Bank and highlighted wider worries over the performance of the economy. The polls take place just weeks after official statistics showed that in the last two quarters of 2018 the Turkish economy slipped into its first recession in a decade, as inflation and interest rates soared due to the currency meltdown. In February, inflation stood at just under 20 percent, while the Central Bank’s main interest rate is currently 24 percent. The lira on Thursday resumed its slide following the return of liquidity at a key London exchange market after an earlier decision by authorities to hold it back, in a move aimed at keeping the plunging currency steady and thwarting short-sellers – traders who bet against the lira. Erdogan has often blamed foreign powers and “speculators” for the currency fluctuations and other economic woes faced by Turkey – a message he repeated this week. “Attempts by a range of Western countries, most importantly the US, to put pressure on Ankara were behind the August 2018 manipulations in the Turkish currency market,” Erdogan told reporters. “We must discipline the speculators in the market,” he said in another address. With control of Turkey’s major cities up for grabs, Erdogan’s AK Party has entered the election race with its ally in the last two polls, the far-right Nationalist Movement Party (MHP), under the People’s Alliance. The bloc’s biggest rival is the Nation’s Alliance, which was formed by the centre-left main opposition Republican People’s Party (CHP) and the right-wing Good (IYI) Party. Both blocs have fielded dozens of joint candidates in the country’s provinces, districts and towns. The pro-Kurdish People’s Democracy Party (HDP), the fifth party represented in parliament, has not put forward any mayoral candidates for Turkey’s six largest provinces, Istanbul, Ankara, Izmir, Bursa, Antalya and Adana, opting instead to back candidates running against Erdogan’s alliance. In recent years, HDP has seen scores of its mayors removed and replaced with trustees due to “terror charges” under an emergency rule that was put in place after a failed coup in 2016. The emergency measure ended in July 2018. In the lead-up to Sunday’s vote, the People’s Alliance has sought to link the local polls to internal and external risks threatening the country’s security. The bloc’s leaders have accused the parties in the Nation Alliance of being in cooperation with the outlawed Kurdistan Workers’ Party (PKK), which has fought the Turkish state for more than 30 years in demand of autonomy. Erdogan himself has cited the fact that the pro-Kurdish HDP is not competing in major cities but supports his opponents as proof of that cooperation. “They do not talk about the dirty negotiations to carry the extensions of the PKK to municipalities through the candidate’s list [of the Nation Alliance],” Erdogan said in a recent rally. The government argues that the HDP has organic links to the PKK, a claim that has been denied by the political party. Separately, the parties that make up the Nation Alliance have repeatedly dismissed the claims that they are cooperating with the HDP. Galip Dalay, a visiting fellow at the University of Oxford, said that Erdogan’s bloc used “a high-pitch nationalist rhetoric” during the campaign, with state security at its heart. “They used the concept of terror and terrorism very generously in almost all policy areas – they link basic issues to terror and security,” Dalay, who is also a non-resident fellow at Brooking’s Institution in Doha, told Al Jazeera. “The bloc also linked the economic situation of Turkey and other problems the country is going through to conspiracies carried out by internal and external actors,” he said. CHP leader Kemal Kilicdaroglu has accused chronic economic mismanagement by the AK Party and Erdogan for the staggering unemployment, high costs of living and lira’s weakening. “There are serious problems. 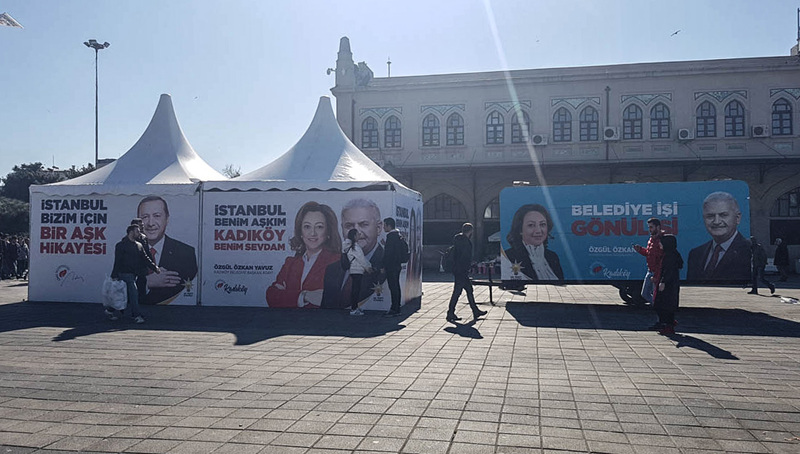 But they fail to explain how they will address these problems,” Kilicdaroglu told supporters earlier this week, arguing that the People’s Alliance was raising artificial security issues to distract voters from real problems. “How is the work of a mayor, or a municipal council member, related to state security or threats against Turkey?” he asked. According to Dalay, the Nation Alliance has carried out a low-profile strategy, without promoting the political identities of the CHP and IYI Party – the parties comprising the bloc. “Instead of putting forward identities of the two parties, they put the spotlight on their candidates and the problems average citizens go through because of the economic crisis,” Dalay said. “They try to bring up actual problems Turkey is currently facing to attract such as inflation and unemployment,” he said.